Dr. Patti Clark, a Program Chair at Embry-Riddle Aeronautical University – Worldwide, describes the Aviation is Your Future course offered free online for youngsters aged 8-12. We also hear about sustainability in the aviation industry. In the news, we look at the latest FAA reauthorization bill, engine maintenance and new wings for the A-10, forgetting to pressurize the cabin, misspelling your airline name, falsifying FAA medical records, and beards and oxygen masks. 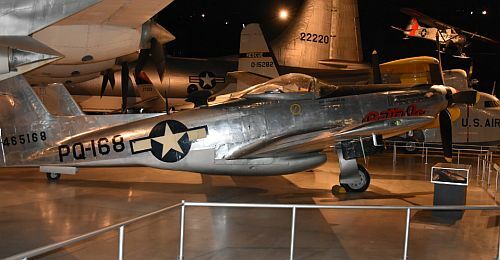 We also learn about the XP-82 Twin Mustang, as have some interviews from this year’s Dorkfest, including one very special celebrity. 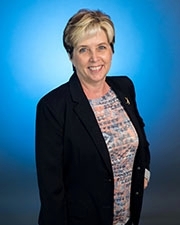 Dr. Patti Clark is Program Chair, MS in Aviation and Aerospace Sustainability, at the College of Aeronautics, Embry-Riddle Aeronautical University – Worldwide. She is also editor-in-chief of the International Journal of Aviation Management. Patti is one of the instructors of the Aviation is Your Future course, a project of the Woman in Aviation International Chapter at Embry-Riddle Aeronautical University – Worldwide. It is a self-paced Massive Open Online Course (MOOC) that celebrates Girls in Aviation Day which is October 13, 2018. The course targets children aged 8-12 and is intended to help attract more people into aviation. The modules are self-paced and should take the youngsters about 6 hours to work through. Parents can register their children at any time and the course will be open from October 8 through 23, 2018. Patti talks about the Master of Science in Aviation and Aerospace Sustainability program and how sustainability is created through three legs: economic, environmental, and social. We learn how the aviation industry needs to design for sustainability. Patti holds a Bachelor of Science in Professional Aeronautics as well as a Master of Aeronautical Science (Management and Safety specializations) from the Embry-Riddle. She also holds Doctor of Philosophy in Business Administration with a specialization in Aeronautical Science Management from Northcentral University in Prescott Valley, AZ. 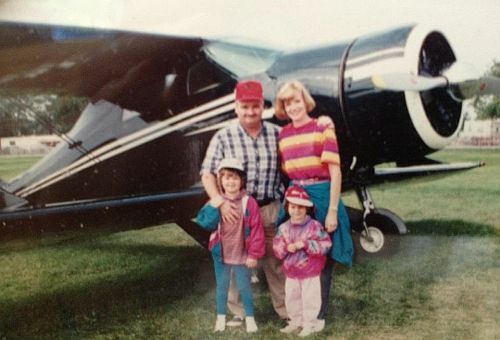 Patti’s aviation career started with active military service in 1977 as an aircraft jet engine mechanic. She followed that career path through several USAF Reserve and Guard assignments. After leaving military service, she continued to work with the USAF as an aircraft and engine Air Force Engineering Technical Services (AFETS) specialist. Patti went on to earn her graduate degree and ultimately her doctorate, worked on DoD environmental and safety projects, and held several director positions at Embry-Riddle. Along the way, Patti was named the Executive Director and Airport Manager for the Valdosta Regional Airport in Valdosta, GA. In 2013, Patti accepted a full-time faculty position in the Embry-Riddle College of Aeronautics. Learn more at the Embry-Riddle Aeronautical University website, including Embry-Riddle Aeronautical University Free Online Courses (MOOCs). Once again, Congress is scrambling to pass a reauthorization bill for the FAA, since funding runs out on September 30, 2018. We look at what’s in the 1,200-page bill, and what’s not. The Moody Air Force Base in Georgia has achieved a remarkable readiness level for the General Electric TF34 engines that power the A-10C Thunderbolt II. All TF34 engines in the fleet are repaired to serviceable status. The achievement is attributed to last year’s continuous process improvement event. The U.S. Senate approved $65 million in funding for upgrades to the A-10 wings. The measure next goes to the House of Representatives. The flight crew on Jet Airways Flight 697 neglected to pressurize the cabin, which caused the passengers some distress. Passengers reportedly said that no oxygen was flowing from the masks that dropped down. The airline disputes the claim. The aircrew has been taken off active duty. A Delta Air Lines pilot was indicted on charges that he falsified FAA medical records necessary to obtain his airman medical certificate. Three other airline pilots have been indicted for making false statements to the FAA in their medical certificates paperwork. A study by the Environmental Medicine and Physiology Unit at Simon Fraser University in Vancouver indicates that facial hair does not affect the delivery of oxygen from a mask. 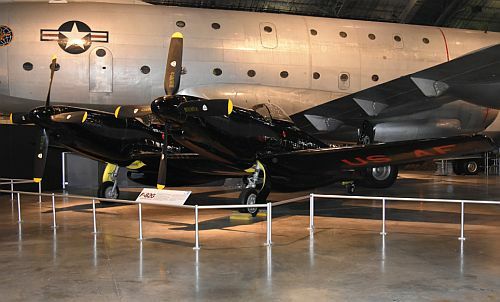 Patti tells of her visit to see the XP-82 Twin Mustang being rebuilt by Tom Reilly. Then David gives us a little history of this unusual airplane. 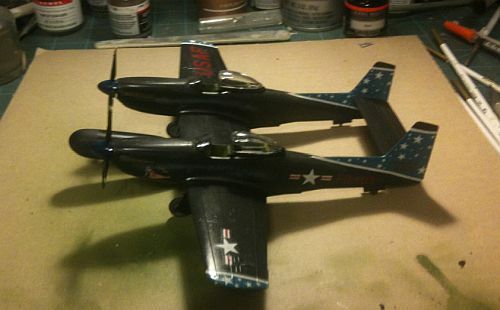 See August XP-82 Twin Mustang Update. Brian Coleman attended Dorkfest 2018 at LAX and recorded conversations with a few of our listeners and past guests. There was also a very big surprise guest in attendance. This entry was posted in Episodes and tagged A-10, air show, Cathay Pacific, Embry Riddle, FAA, Jet Airways, LAX, P-51 on September 25, 2018 by maxflight. The Senior Vice President, Aviation Strategy and Programs for AOPA describes the You Can Fly program and the Air Safety Institute. Also, we look at the increased student enrollment in flight-training programs, adhesively bonded splice joints as an aircraft assembly method, the White House nominee for the NTSB, and Ryanair’s strategy for pilot retention. AOPA Senior Vice President, Aviation Strategy and Programs Katie Pribyl with Buck. Katie Pribyl is Senior Vice President, Aviation Strategy and Programs for the Aircraft Owners and Pilots Association (AOPA). Katie is responsible for the organization’s You Can Fly program and the Air Safety Institute. 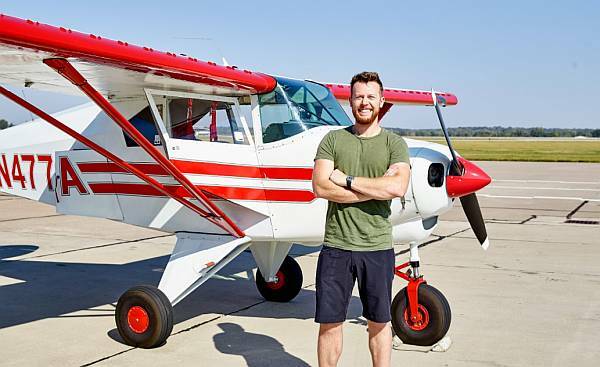 The You Can Fly program includes initiatives to get lapsed pilots back in the air, providing more affordable access to aviation through flying clubs, best practices in flight training, and It introduces high school students to aviation. Be sure to look into the AOPA High School Aviation STEM Symposium November 6-7, 2017. 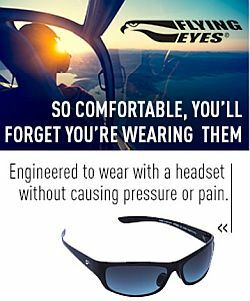 The AOPA Air Safety Institute (ASI) produces free programs to help pilots fly safer. These include online courses, live seminars, and videos. ASI recently started publishing the There I Was… podcast. Katie is a graduate of Embry-Riddle Aeronautical University and she flew the Canadair Regional Jet with Atlantic Coast Airlines/Independence Air. She served as the director of communications for GAMA (the General Aviation Manufacturers Association) and Katie is a CFI and rated seaplane pilot. She is a member of Ladies Love Taildraggers and loves flying her 1956 Cessna 180 Skywagon in her home state of Montana. Katie was featured in the January 2017 issue of AOPA Pilot in A Daughter’s Homecoming: A Ranch Airstrip FulFills a Cowgirl’s Dream. Follow Katie on Twitter and Facebook. Embry-Riddle Aeronautical University’s flight-training program is planning for the largest incoming freshman class in 15 years. Contributing factors include demand for more commercial airline pilots, an increase in a starting salary, and quicker return on investment with an Embry-Riddle degree. The Air Force Research Laboratory (AFRL) and Northrop Grumman partnered to test a new aircraft assembly method where adhesively bonded splice joints replace the legacy method where large components and subassemblies are joined with bolts. The White House announced that Bruce Landsberg will be nominated to a five-year term on the National Transportation Safety Board beginning Jan. 1, 2018, as well as to a two-year term as vice chairman. 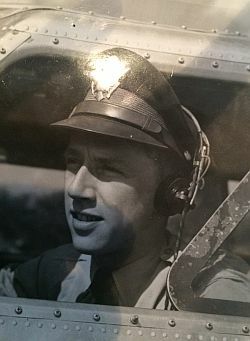 Bruce led the AOPA Foundation and Air Safety Institute (ASI) as executive director and then president for 22 years. He’s currently a senior safety advisor for AOPA and the ASI, he also has served as the industry co-chair of the FAA’s runway safety program. Brian got together with some of our listeners during his trip to South Africa, and recorded some of the conversations. JetBlue announced that it was capping ticket prices after the devastating hurricane in Florida. The Cod Father restaurant in Cape Town, South Africa. Evan picking up the PA-22. #PaxEx Podcast #50 Flyers Rights makes the case for seat size standards with guest Kendall Creighton, director of communications for consumer advocacy group Flyers Rights on aircraft seat spacing, the Daily Beast article, their recent judicial victory, and ATC privatization. This entry was posted in Episodes and tagged AFRL, Air Safety Institute, AOPA, Embry Riddle, flight training, Flyers Rights, Northrop Grumman, NTSB, You Can Fly on September 27, 2017 by maxflight. At Simple Flight, Al and Marc produce a aviation radio show that goes live Sunday nights from 8:00pm to 10:00pm Central Time (U.S.) You can also listen to the audio archive anytime, or subscribe as a podcast in iTunes. Since the Simple Flight show is live, Al and Marc get a lot of listener interaction in real time. 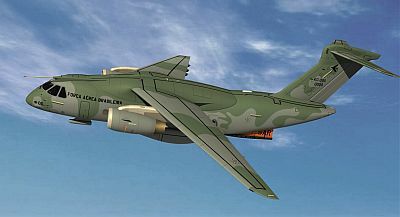 The website offers other content for pilots, including an aviation blog, aviation photography, flight instruction. We talk about the live show, the next great flying club – delivering new pilots to aviation, and even Rod Rakic’s new Open Airplane project. Find the guys and the site on Twitter as: @Al_H2Oloo (clever, eh? ), @mepner, and @SimpleFlightNet. David Vanderhoof’s Aircraft of the Week is Sue’s Bird, the Piper PA-24 Comanche. Winter weather has been causing trouble in for flights Australia’s south east this week, especially with fog causing many diversions. Mid week, two B737s, one Qantas & one Virgin Australia, diverted to the rural city of Mildura in Victoria; an airport normally accustomed to regional turboprop aircraft, and one that lacks an ILS. As the fog began to envelop Mildura as well, the Virgin 737, after two missed approaches, declared a fuel emergency and landed in what has been described as below minima for the airport. This has lead to an ATSB investigation which is due to report by March 2014. RAAF KC-30A tankers now operational and recently participated in Exercise Aces North, the culmination of the Fighter Combat Instructor course, in the skies over the Northern Territory. Australia’s entrant in the Airbus Fly Your Ideas contest, from the Royal Melbourne Institute of Technology, places second overall. A great result! Find more from Grant and Steve at the Plane Crazy Down Under podcast, and follow the show on Twitter at @pcdu. Steve’s at @stevevisscher and Grant at @falcon124. Australia Desk archives can be found at www.australiadesk.net. 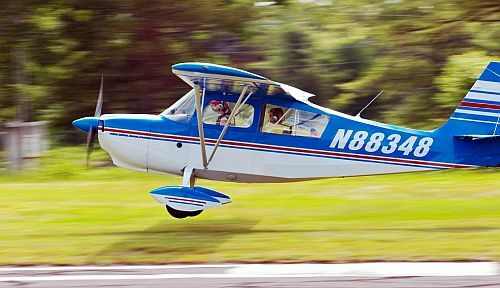 Open Airplane – Rent an airplane at participating FBOs or Flight Schools near you! Be the first Singaporean in space come 2015? 1500 hours or Nothing, from Flying And Technology blog. Tupolev 154 Reverses Power Before Touchdown! 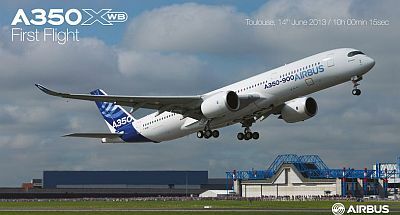 This entry was posted in Episodes and tagged A350, Airbus, B787, Boeing, Embraer, Embry Riddle, FAA, KC-390, Paris Air Show, PED, TWA 800, United on June 26, 2013 by maxflight.